WHAT IS THE X LIFT? The X Lift is a great treatment using Silhouette Soft threads, to lift sagging tissues of the lower face (including the jowls) and to improve the quality of the skin by stimulating collagen production. As soon as the suture is applied, the doctor reshapes the treated area by means of a double action: compressing and elevating tissue. In being absorbed, the component of the suture, polylactic acid allows to restore shapeliness to the face. It works firstly by a lifting effect, achieved by inserting absorbable thread cones. 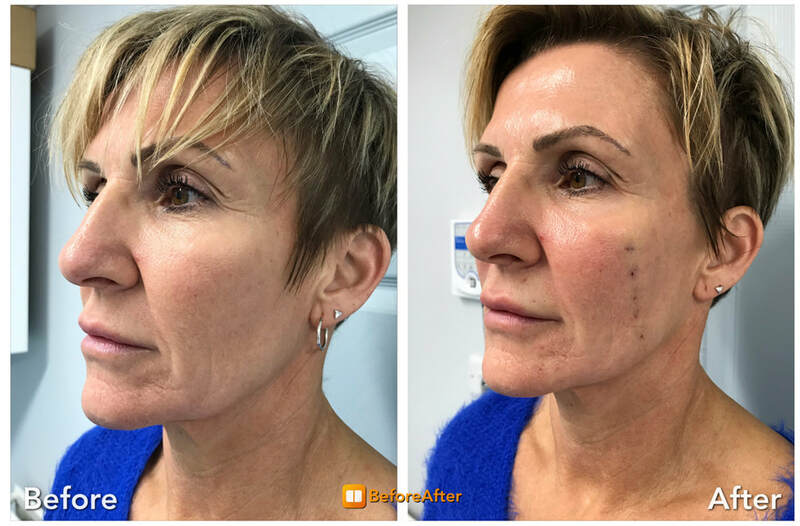 The subtle, natural lift can be noticed immediately after the procedure and secondly by gradually stimulating collagen formation for a regenerative effect. I recommend this treatment for men and women over 30, who start noticing the first signs of facial laxity, resulting in the appearance of eg. jowls and increased naso-labial folds (the creases running from nose to mouth), who do not want to go through any invasive, surgical treatments, but are looking for real and natural results. The number of thread cones used per treatment depends on specific needs (usually 3 per side) and the expected lift is in the region of 1cm. If you have severe facial ptosis or a great deal of excess skin, then a surgical option might be preferable to achieve a desired result. 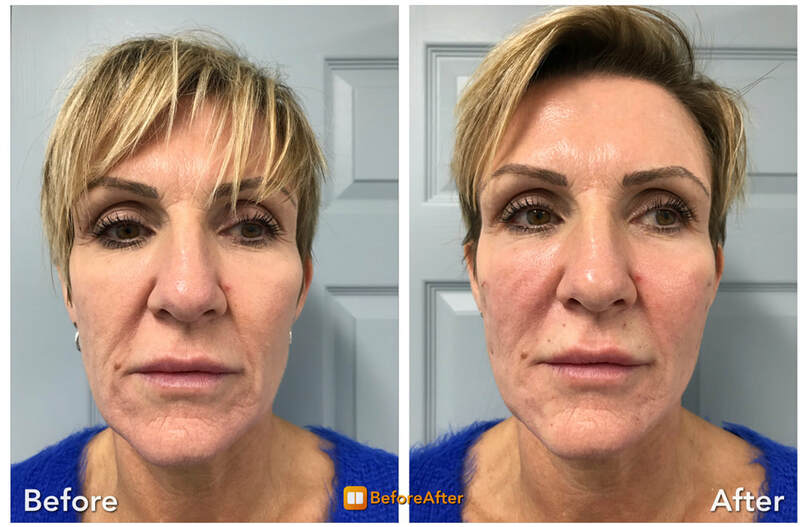 However, mild to moderate facial ptosis can be greatly improved by this procedure, especially when combined with dermal fillers for a simultaneous volume replacement. Applying Silhouette Soft® takes around 30-60 minutes. First I mark out the area to be treated, I then cleanse and disinfect the skin. I work in a sterile environment, to minimise the risk of infection. I apply some local anaesthetic to ensure a pain-free procedure; the sutures are then entered under the skin to a depth of about three to five millimetres. No incision is required, as the suture is inserted using a fine needle. It is held in place with absorbable cones oriented in opposite directions (bidirectional). Once the suture has been applied, I slightly compress the tissue to reshape it by hand and to obtain the desired lifting effect. The non-inserted ends of the suture are cut off. Immediately after the treatment, the area can look red and tight, with occasional “puckering”, which disappears after a few days. Once the local anaesthetic wears off, you might be a slight discomfort so you might need to take some paracetamol. You should be able to return to your normal activities straight away but it is advisable to avoid exercise and facial massages for 2 weeks. The cost as a stand-alone treatment is in the region of £1600. I also offer a special package of combined Silhouette Soft® threading with dermal fillers and botulinum toxin for £1900.